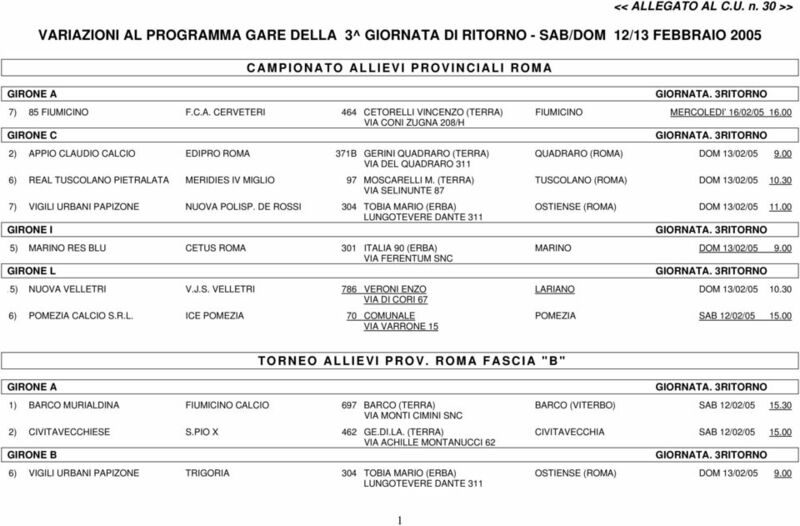 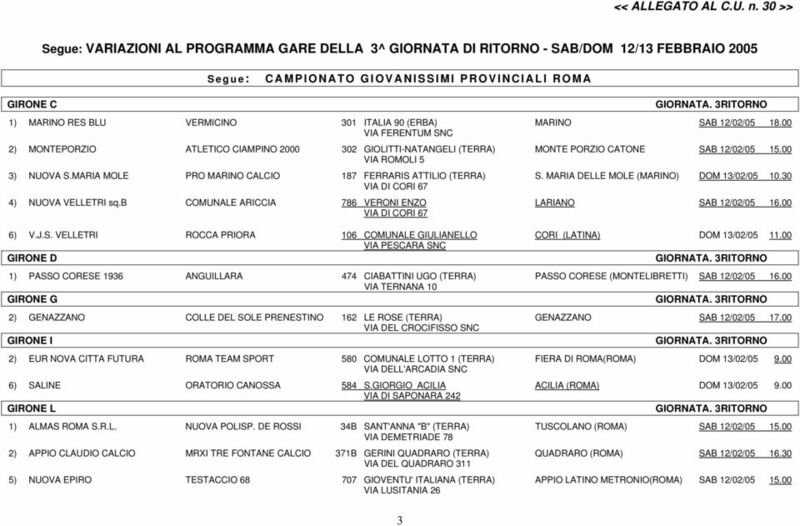 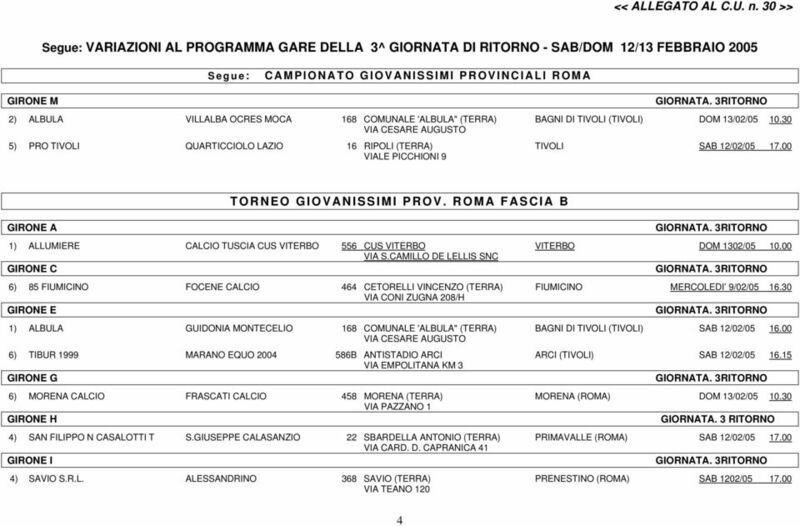 Download "VARIAZIONI AL PROGRAMMA GARE DELLA 3^ GIORNATA DI RITORNO - SAB/DOM 12/13 FEBBRAIO 2005"
PROGRAMMA GARE TORNEO COPPA PROVINCIA DI ROMA - PLAY IN 1ª G I O R N A T A - SABATO/DOMENICA 5/6 MAGGIO 2007 GIR. 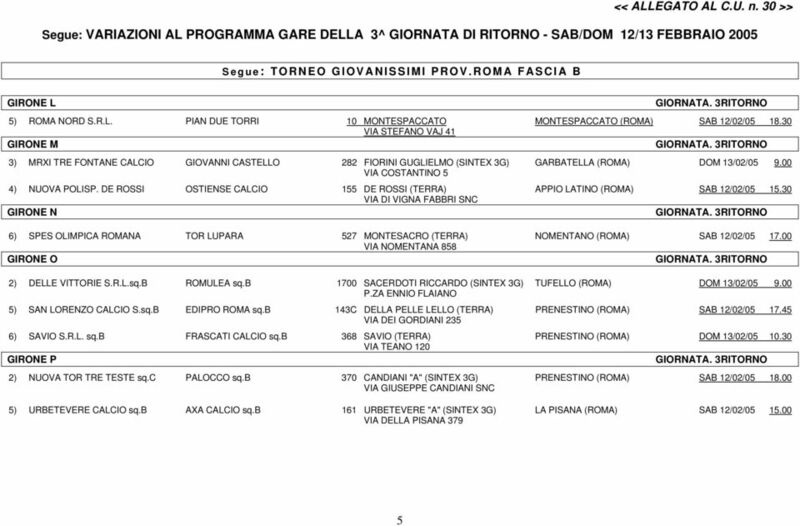 A 1ª GIORNATA CORNETO TARQUINIA CIVITAVECCHIESE 84B TEVERONI A. SAB 05/05/07 16.00 D.L.F. 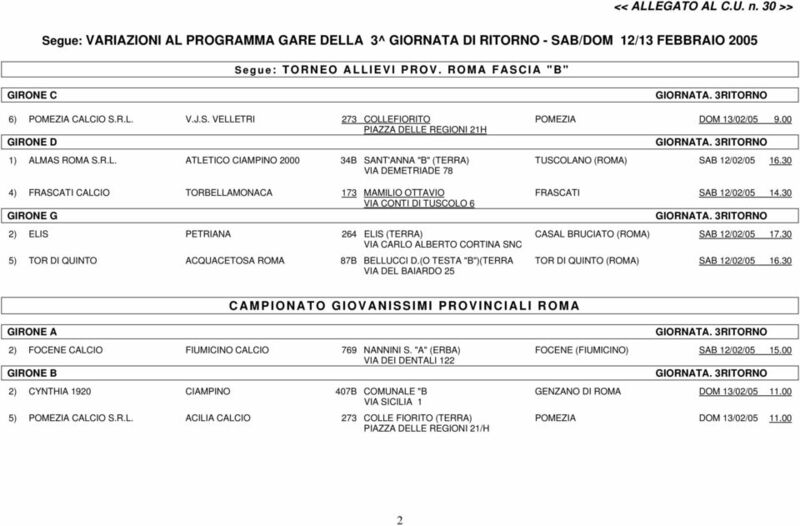 I QUARTIERI DEGRADANO I TUOI DIRITTI MAI!